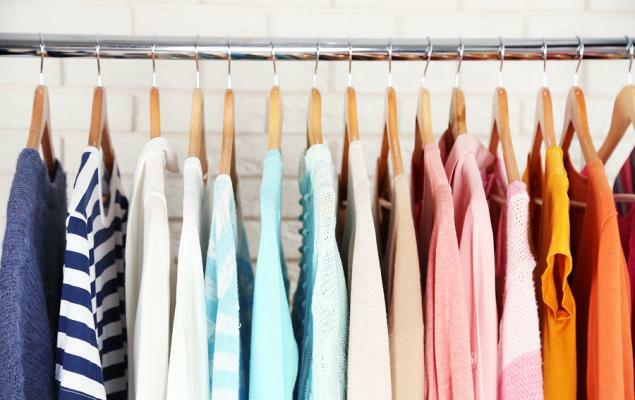 The TJX Companies, Inc. (TJX - Free Report)	is focused on boosting investor sentiment through several growth initiatives and shareholder-friendly moves. To this end, the company announced an 18% hike in its quarterly cash dividend to 23 cents per share. The raised dividend is payable Jun 6, 2019, to its shareholders held in record as of May 16, 2019. Notably, this marks the 23rd straight year of dividend hike for this off-price retailer. Also, this Zacks Rank #3 (Hold) company intends to buy back shares worth nearly $1.75-$2.25 billion in fiscal 2020. These actions not only reflect TJX Companies’ confidence in its future sales and cash flows but also highlight its commitment to shareholders. This, in turn, is likely to instill more confidence in investors. In the past three months, shares of this Framingham, MA-based company have rallied approximately 21% compared with the industry’s 18.1% growth. TJX Companies has always followed a disciplined capital allocation strategy, which focuses on making investments to develop business and returning cash to its shareholders through dividend payouts and share buybacks. The company’s strong cash generation ability has aided it to increase dividend every year. We appreciate TJX Companies’ efforts to enhance long-term shareholder value. Markedly, dividend hikes not only enhance shareholder returns but also raise the market value of the stock. In fact, through this strategy companies try to win investors and persuade them to either buy or hold the scrip instead of selling it. Apart from dividend hikes, the company’s strong merchandising and brand strategies combined with effective marketing efforts are impressive. Also, the company’s off-price model, strategic store locations and impressive brands have been bolstering its store and online performance. The company also has an aggressive store-opening strategy. TJX Companies regularly opens stores and expands across the United States, Europe and Canada. During fiscal 2019, TJX Companies added around 236 stores. It intends to continue expanding store base, with plans to operate about 6,100 stores in the long term. Further, with an increasing number of consumers resorting to online shopping, the company has undertaken several initiatives to boost online sales and strengthen its e-commerce business. Also, TJX Companies remains committed toward driving comps growth through effective marketing initiatives and loyalty programs. Incidentally, TJX Companies’ aggressive marketing and advertising campaigns through multiple mediums have been improving traffic at its stores. Costco Wholesale Corporation (COST - Free Report)	has a long-term earnings growth rate of 8.9% and a Zacks Rank #2 (Buy). You can see the complete list of today’s Zacks #1 Rank (Strong Buy) stocks here. Target Corporation (TGT - Free Report)	has a long-term earnings growth rate of 6.3% and a Zacks Rank #2. Zumiez Inc. (ZUMZ - Free Report)	has a long-term earnings growth rate of 13.5% and a Zacks Rank #2.